Worlds collide on the latest remix from ¡MAYDAY!’s Strange Music debut, Take Me To Your Leader. The ¡MAYDAY! crew takes a step back for this one as Strange Music veteran producer Seven takes to the boards and flips “Badlands” featuring Tech N9ne into a whole new atmosphere of surrealistic synths and sped-up percussion. The result is a complete overhaul of the original that injects “Badlands” with a shot of pure adrenaline and showcases Seven’s innovative and ever-changing sound. Click here to download ¡MAYDAY! 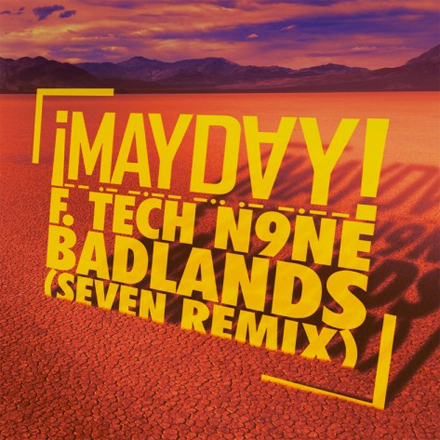 ‘Badlands’ Featuring Tech N9ne (Seven Remix). Do you want to hear more from ¡MAYDAY! and Seven?